Weekend and daily passes will be available for the three day event or for individual concerts thru Ticketmaster. Offerings will include VIP, reserved, and general admission seating for the concerts. Included in the price of admission, you will have access to participating entertainment (with your souvenir lanyard), as well as a discount at those participating venues on food and beverage. We will host performances by a FMX Freestyle Motocross team, contests with professional surfers and skateboarders, and a beach obstacle fitness course suitable for all ages. 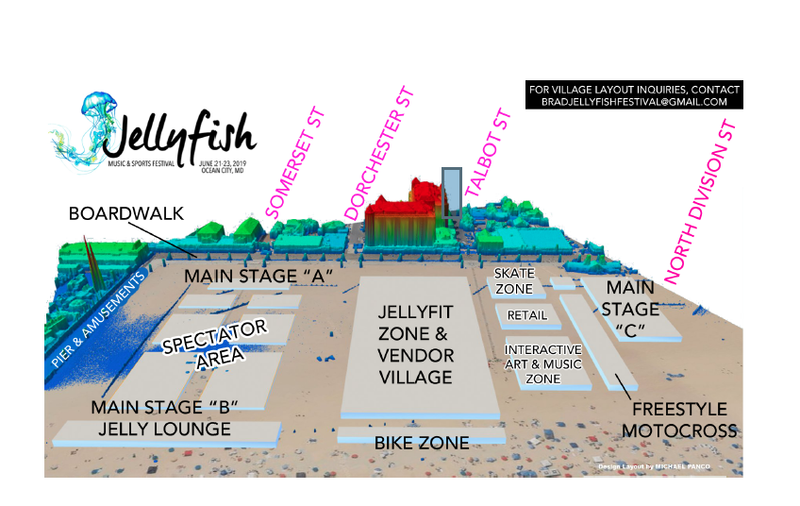 We are adding new elements and dynamics to the Jellyfish Festival along the way. The Event Map and General Schedule are posted below with confirmed entertainment.